In 2016 Cardinal Vincent Nichols made our church into a diocesan shrine church, with a mission of promoting the Rosary. We welcome pilgrims to our church, to pray the Way of the Rosary at the 15 altars dedicated to the mysteries of the Rosary. Why is the Rosary important? The Rosary is a traditional devotion which encourages prayerful meditation, through repetition of the prayers ‘Our Father’, ‘Hail Mary’ and ‘Glory Be’ while at the same time reflecting in turn on different episodes from the life of Christ (known as the ‘mysteries’). Rosary beads are used to count off the prayers. The Rosary brings us closer to Jesus Christ by allowing us to see the events of his life through the eyes of his blessed mother, Mary. It is a simple yet profound form of prayer, accessible to all. Pope St John Paul II encouraged us to deepen our praying of the Rosary through the use of images, such as those found in our church. The Rosary is a powerful aid to personal spiritual growth and conversion, but also a force for good in a struggling world. The Rosary Shrine in north London will give a focus and a ‘home’ for the promotion of the Rosary in England. 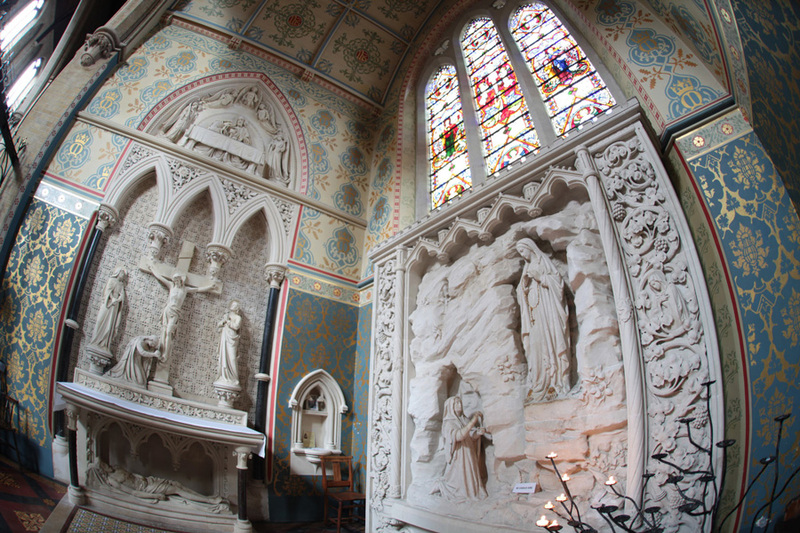 It will also add to a growing and increasingly popular network of Catholic shrines throughout the country. Promote prayer and personal spiritual renewal. Bring people closer to Christ and his gospel. Act as a spiritual powerhouse, praying for the many needs of our country. Act as a missionary centre for the wider promotion of the Rosary. Be a space for Catholic cultural events. Welcome all people, of all backgrounds. Welcoming Visitors: Ensuring our facilities are of an excellent standard, and that signs and literature are in place to guide pilgrims. Conserving Heritage: Restoring the interior of our Grade II* listed church to allow the original vision to shine. Building our Community: Involving local people in achieving the success of the Shrine, creating opportunities for volunteering, employment and collaboration. Inspiring Hearts and Minds: Creating an experience for visitors that will uplift souls, and provide education and inspiration. We are pleased to receive and pray for personal prayer intentions. Click here for more details. Our vision for the Shrine is for it to become an important centre for promoting the Christian faith through the Holy Rosary. We want to welcome many pilgrims from far and wide and ensure they have a valuable experience that deepens their faith and understanding. 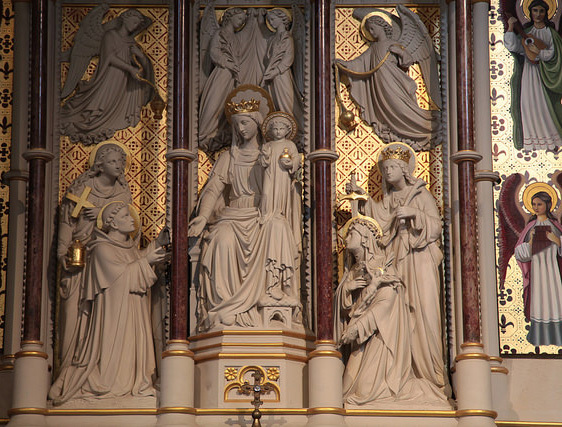 Our Lady of the Rosary and St Dominic is part of the English Province of the Order of Preachers, a charity registered in England and Wales (231192) and in Scotland (SC039062).